Google is rolling out a new option, called +Post ads Beta, for brands that will allow them to automatically turn Google+ posts into advertisements that can be embedded into sites around the Web. 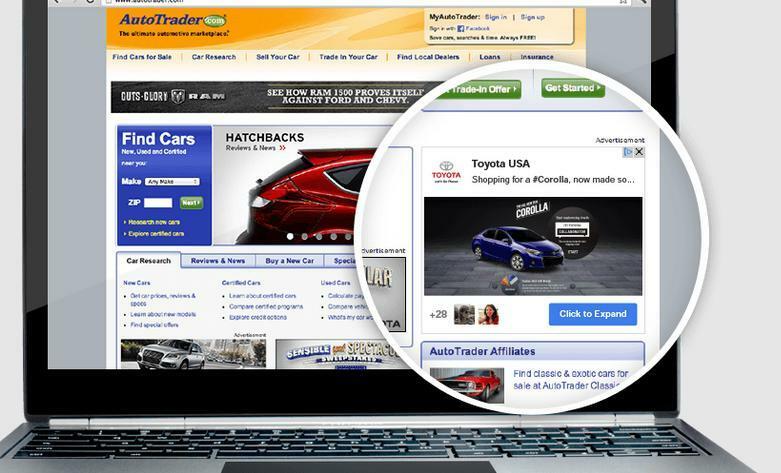 In one example, you might be on AutoTrader.com and see an advertisement from Toyota USA for the new Corolla, and in it, you can see how many people have liked the post or click it for more information. The posts can also be used to kick off Hangouts. In some ways, it's sort of like hitting two birds with one stone for some advertisers. Instead of paying for social promotion and then going to an ad network to buy ads for sites, you can just use +Post Beta to send an ad to Google+ and then around the Internet to sites that run +Post advertisements. As usual, brands can take advantage of the Google Display Network to make sure they're targeting the right demographics and, since end users can follow brands on Google+, hitting the right people is probably easier now than ever. Google says the implementation is "fast and efficient" and that ads can live on through search inside of Google+, even after a specific campaign ends. To join the Beta for +Post ads, head to the source link below.